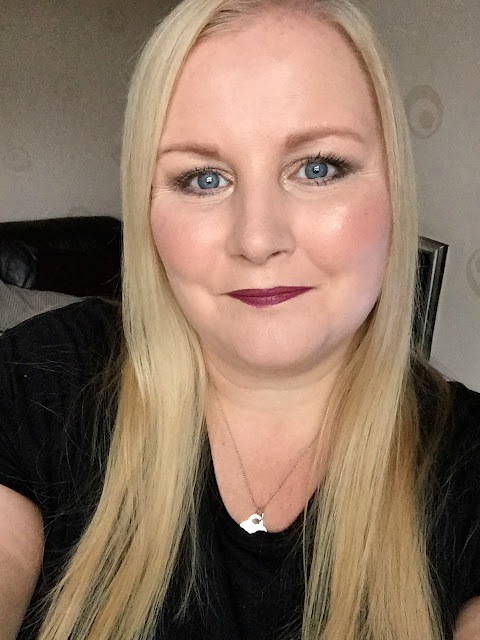 I love trying out new brands of make up and recently I have been trying out a few different make up products from Avon, today I am going to share those products with you and also show you a look I created with them. I had never tried Avon make up products as an adult before, my mum used to have a lot of Avon products whilst I was growing up so I am sure I have tried items of hers throughout my younger years but since buying my own make up I haven't ever tried anything from Avon and after recently trying some of their matte lipsticks (you can see that post here) and loving them, I couldn't wait to try out some more of their make up products. 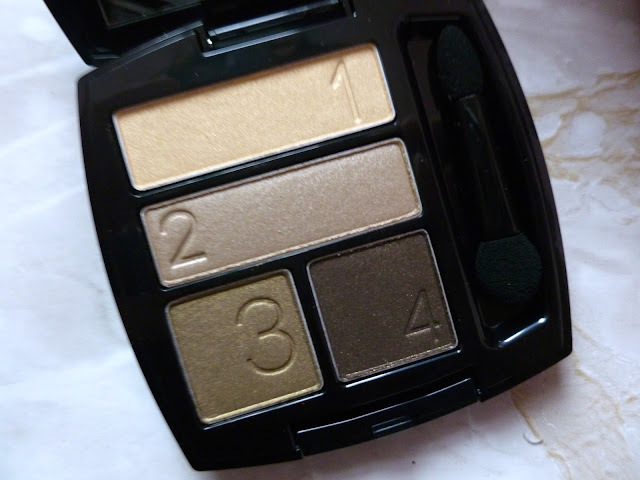 I loved the Avon True Colour Eyeshadow Quad in Gilded Metallics as soon as I opened the packaging, the shades looked beautiful, the packaging is also really lovely and sleek and classy looking and there is a good sized mirror in the palette too which I liked, the palette does come with a sponge applicator but I used my own make up brushes to apply the eyeshadow as this is my preferred method of application. I like that the shades are numbered giving you the choice of using them in the order in which they are numbered or using them how you prefer. The eyeshadows have a lovely texture, they applied well and blended effortlessly and had a great colour payoff and I think for the price it is a really great little palette and would recommend it. 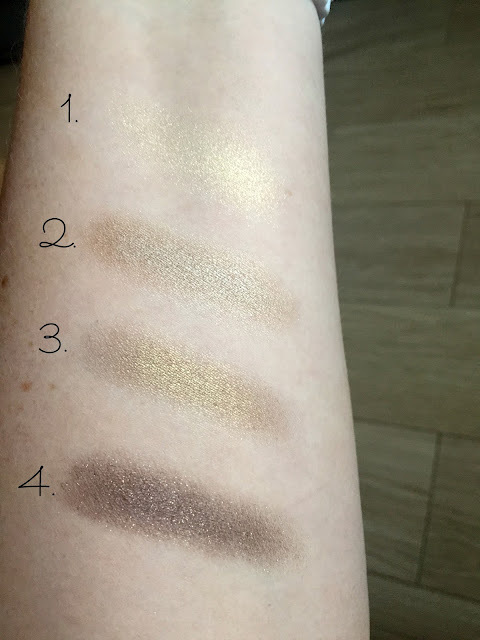 My favourite shades are numbers 2 and 4 but I love all 4 shades, they all look beautiful together but also separate too and all 4 shades are great as a one colour look sweeping them over the lid and blending up towards the crease for an easy but stunning eye look. 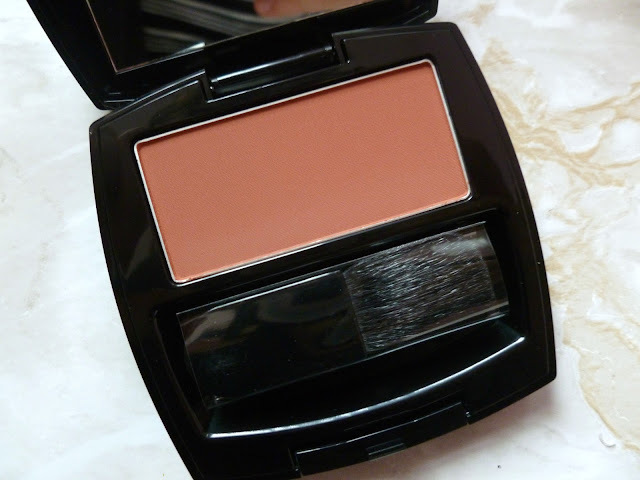 Again I loved the packaging of the blush it has the same glossy black classy packaging as the eyeshadow quad and is lovely, the blush comes with a brush which I did use and worked really well. I must admit when I saw the shade of the blush in the palette I really didn't think I would like it but once I applied it I loved it. It is as the name suggests a lovely rich russet shade and one that is ideal for the winter months but could be worn all year round and would look great with a variety of different make up looks, I really liked it and was pleasantly surprised. 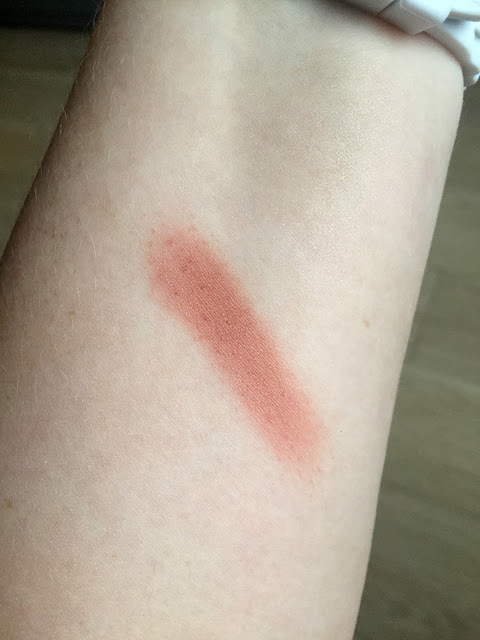 It applied beautifully and wore well all day, the blush is described on the Avon website as silky and luxurious and I have to agree, it does feel lovely when applied and gives a beautiful finish that isn't overly shiny, I usually opt for a matte blush but this gives a subtle sheen and a really lovely finish and I really like it. It is a great price for 10g of product too. As I said I have tried some of the Avon matte lipsticks before and loved them but this was completely new shade for me to try and one that is perfect for the winter months and I couldn't wait to try it. I love the packaging of the Perfectly Matte lipsticks the black and silver looks lovely and very classy too and lots of my friends have commented on how nice the packaging is. 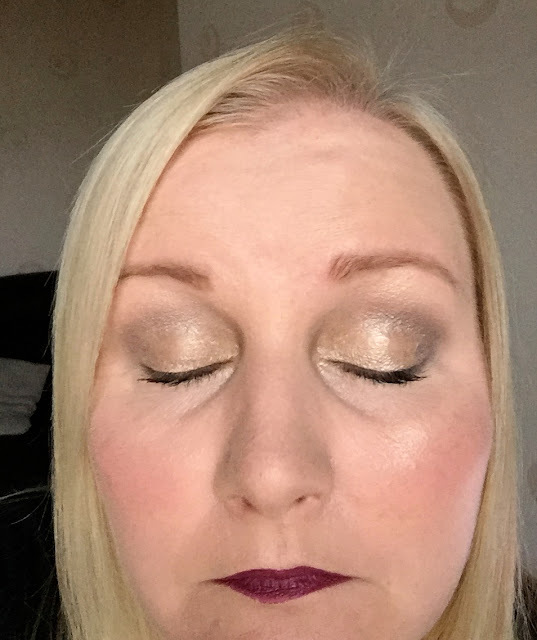 I love deep plum shades for the winter months, when I first opened Superb Wine I thought it would be too dark for me but it doesn't transfer as dark on the lips as it appears in the bullet, I find that with all my plum toned lip products, it is a lovely shade and looked great with the blush and eyeshadows. 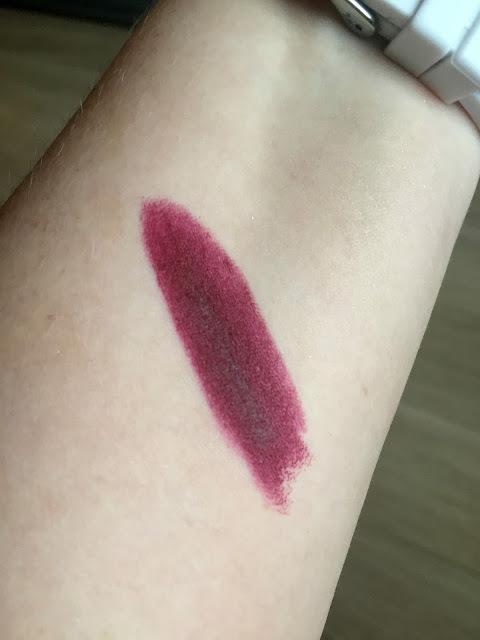 Superb Wine is a great dupe for the MAC lipstick in the shade Sin, my daughter has Sin and we compared the 2 and they are almost identical, Superb Wine applies well, doesn't bleed, it isn't drying on the lips at all and has a fantastic wear time, who needs MAC? To create the look I used number 1 in the eyshadow palette all over the lid to add a subtle golden sheen to my lids, I then applied number 2 on top of that and used number 4 in the outer corners of my eye and through my crease, I used numbers 3 and 4 underneath my lower lash line and a little of number 1 in the inner corners of my eyes to brighten. I used the blush on the apples of my cheeks and upwards a little towards my temple, I did add a little highlight to the top of my cheekbones also. I applied the lipstick straight from the bullet. Please excuse my very wrinkly eye lids! I am really happy with the make up look, the shadows applied well and blended beautifully and the blush gives such a lovely silky luminous glow to the skin that lasts all day, the lipstick is a beautiful shade for the winter months and had an excellent wear time too, I am really impressed with all the products I have tried and would highly recommend them all, the are all excellent products and are all a brilliant price too and if you are like I was and haven't ever tried any Avon makeup I would definitely recommend it, I will certainly be checking out their website and trying out some more of their products, I have loved all the beauty products I have tried from Avon so far and think you will too. 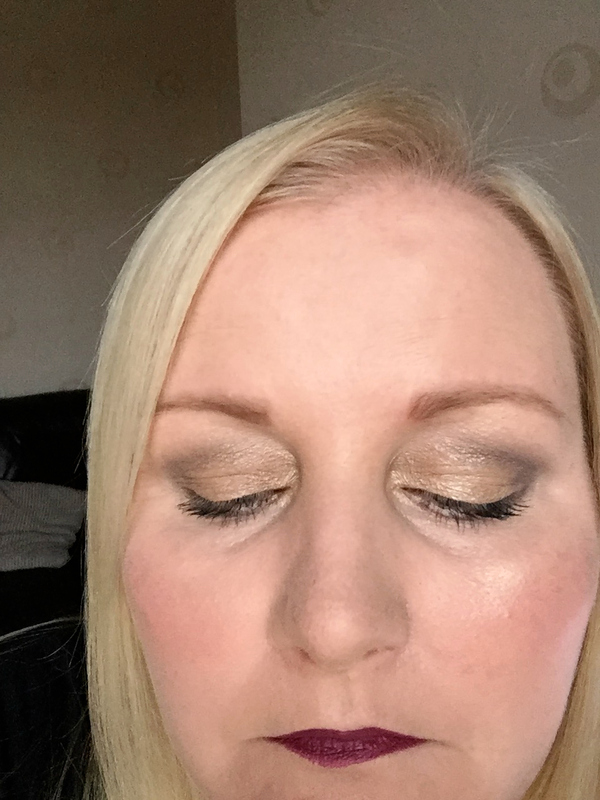 If you would like to try Avon products you can find them online on the Avon website HERE or to find the products I used you can find the eyeshadow quad HERE for £9.00 the blush HERE for £4.50 (was £6.50) and the lipstick HERE for £7.50. 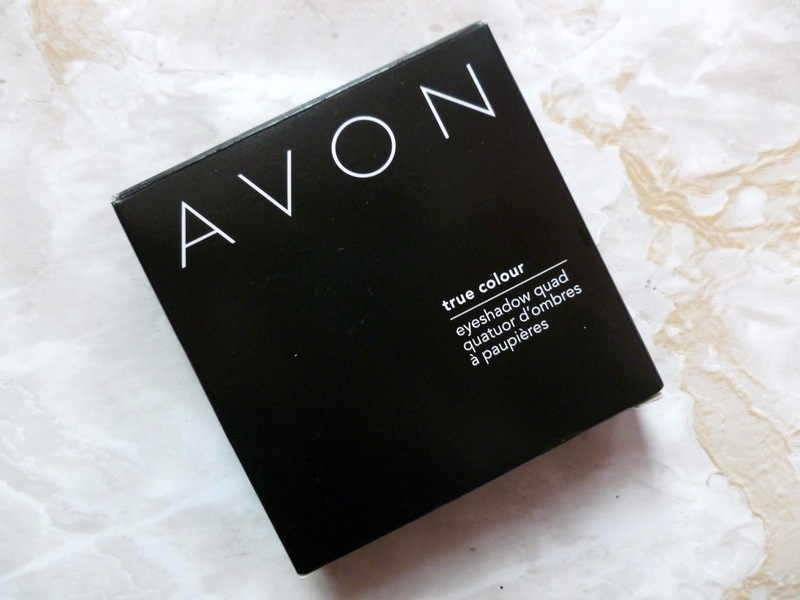 Have you tried Avon make up? 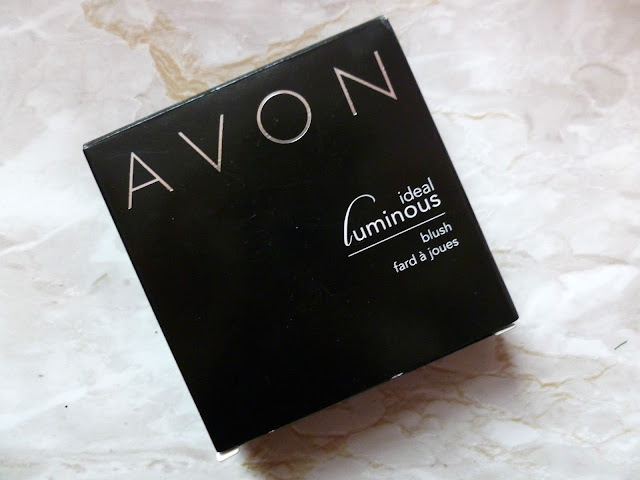 What are your favourite Avon makeup products?